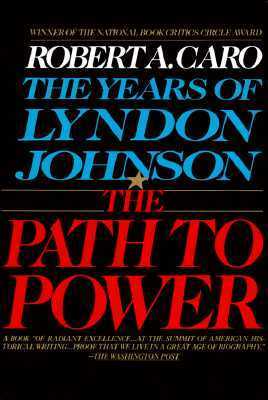 “The Path to Power: The Years of Lyndon Johnson” is the first volume in Robert Caro’s epic series covering the life of Lyndon B. Johnson. Caro is a former investigative reporter and the author of two Pulitzer Prize-winning biographies: “Master of the Senate” (the third volume in this series) and “The Power Broker” about the life of Robert Moses. Caro is currently working on the fifth (and, presumably, final) volume in his LBJ series. Published in 1982, “The Path to Power” is the inaugural volume in a series that has consumed more than four decades of Caro’s life. Originally intended to be the first of just three volumes, its 768 pages follow Johnson from birth through his unsuccessful bid for a Senate seat in 1941. 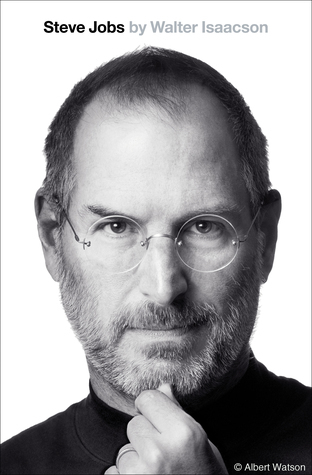 This biography is the result of seven years of research by Caro and his wife – a remarkable effort in which he conducted approximately 1,000 interviews. For good reason, “The Path to Power” is widely considered one of the most extraordinary presidential biographies ever published. It is a profoundly penetrating and extraordinarily insightful narrative of the early life of one of our most complex and colorful presidents. And it seems all but certain to remain the most comprehensive account of Johnson’s early life ever published. Caro is undeniably unique among the 140 different biographers I have encountered. Although his writing style is articulate and descriptive, it is not smooth or elegant in a traditional sense. Caro can be both verbose and repetitive and it is not uncommon for his sentences to exceed 60 or 70 words involving a half-dozen commas…or more. But they are often linguistic works of art which embed penetrating insights, keen observations and clever syntax. The first one-third of this volume is brilliant…and very nearly perfect. Describing LBJ’s ancestry, his hardscrabble youth, his college years and early congressional career, these fifteen chapters may be as good as a biography can possibly be. Caro does an incomparable job setting scenes, providing context and putting the reader “in the moment” – whether in the Texas Hill Country, in a dorm room or on the campaign trail. His review of the westward migration of settlers into central Texas is spellbinding and he does a masterful job tracing the dramatic rise and fall of LBJ’s grandparents. Two chapters on rural electrification (and life without electric power) are among the most interesting in the book. But the most valuable chapters may be those devoted to LBJ’s college years in San Marcos – replete with anecdotes, eyewitness testimony and other observations so revealing they seem to be the most important pages in the book. The remaining twenty-two chapters are solid-to-excellent though not as consistently engaging or efficiently impactful as earlier chapters. Johnson’s successful campaign for the House and his unsuccessful bid for a Senate seat in 1941 are extremely well-told and the narrative is littered with so many marvelous mini-biographies of LBJ’s friends, enemies and colleagues it is difficult to keep count. Nearly every one of these multi-page introductions is a literary jewel and in many cases they describe individuals not widely known: Alvin Wirtz, Herman Brown, Tommy Corcoran and Charles Marsh. The thirty-five-page chapter devoted to Sam Rayburn, in particular, is so well written it begs the question of whether there exists a full-scale biography of Rayburn as good as Caro’s summary. But while Caro’s inaugural volume on Lyndon Johnson is excellent in most respects it is not without flaws. Few (if any) biographers can understand a subject and his or her surroundings, or place the reader in the thick of events, like Caro. But the cost is not trivial: this biography demands a much higher than average level of patience and perseverance from its audience. You don’t read this volume to become casually acquainted with the young LBJ; you read it to become fully immersed in his early life. Caro seems compelled to include in the text each new, interesting morsel he unearthed in his research and appears to leave no stone unturned in his quest to decipher this complicated man. And while Caro is prone to detail, he is equally inclined to digression. This biography frequently wanders from its primary arc in favor of some tangent Caro is interested in exploring. These deviations are often fascinating…but occasionally tedious. A skillful editor could probably excise up to a quarter of the book without harming the narrative. In addition, some readers will find Caro too critical of his subject. While evaluating LBJ’s character, Caro finds much to abhor and he pulls no punches. Anyone seeking a more “balanced” view of the young LBJ can turn to the first volume of Robert Dallek’s series. Finally, while the depth of his research often seems unmatched, Caro eschews traditional footnotes in favor of abbreviated citations which often prove oddly enigmatic or incomplete. Overall, “The Path to Power” proves an extraordinary opening act for one of the most significant biographical achievements ever. This volume requires time, patience and perseverance…but rewards its readers handsomely with unparalleled insight and appreciation for Johnson and his times. Robert Caro’s “The Path to Power” is a literary gem, a biographical treasure and a promising start to his ongoing five-volume journey through Lyndon Johnson’s life. Wonderful review. In response to ‘What do you think of Robert Caro’s LBJ?’, one his favorable biographers told me (in a signing line) ‘I wish he had more compassion for him.’ You will get the definitive biography of Coke Stevenson in volume 2. The account of LBJ’s ‘landslide’ victory in 1948 is fascinating. A skillful editor probably did excise a quarter of the initial manuscript. That is why I have a difficult time believing the final volume will only be one book. It seems prime for a 2-volume issue. As for the hill country, in one of Mr. Caro’s presentations he described his visits to – and his living in – the hill country in order to fully immerse himself in his subject. As you note, he vividly brings it to life in the book. I join the above comment, this is a terrific review. I give this book (and Caro’s others) 5 stars, but your criticisms are well argued and thought out. Can’t wait to read your thoughts on the remaining Caro volumes. Thanks – I *really* liked this book and only wish Caro (or his editors) could have kept it a bit tighter once it really got going. It started out incredibly well I almost thought I needed a >5 star rating category but as it progressed it bogged down (or got diverted) on occasion. The first few chapters were so impactful for me that I killed a day re-reading the book from the beginning just to experience it all over again. Caro is less hostile and more balanced toward LBJ once you get to volumes 3 and 4. Also, I can’t remember where I read this, but apparently, after Caro finishes the last volume, he plans to edit everything down into a one-volume abridged version. Fantastic review. I’ve read all of Caro’s volumes on LBJ, and like you, I was completely captivated by his descriptions of the Texas Hill Country, along with the descriptions of how life was without electricity. I’ve heard several interviews with Caro, and he’s frequently said that the motivation of his LBJ biography is how Johnson gained and used power. Yes, Johnson could be cruel, manipulative and dishonest, but he also did a great deal of good. Regarding that ever so elusive 5th (or 6th?) volume, in another interview Caro said he has to spend time in Vietnam to see how a technologically advanced country waged war on an impoverished country. I’m eagerly awaiting that book. Yes, I was both overjoyed and disappointed to hear that Caro (still) needs to go live in Vietnam for some time in order to gain the perspective he needs to finish the series. Many of us have our fingers crossed that he stays happy, healthy and intellectually robust for many, many years to come! I listened to this on audiobook while training for, and running a marathon. Truly an amazing book; it was more a panoramic view of America than just the story of one man. I learnt more about FDR and the New Deal than I ever thought I would. The section on the “third-term” fight with FDR’s VP is fascinating. I’ve also listened to “Means of Ascent”, and am currently a few chapters into “Master of the Senate”, where I am loving the detailed history of the senate. For lovers of American history, these books are a must read. And LBJ must truly be one of the most fascinating characters in 20th Century politics; an amoral genius. I just finished “Means of Ascent” and really liked it – though not as much as “Path to Power.” As soon as I can write and post the review I’ll be on to “Master of the Senate” which I’m really looking forward to! Reblogged this on Practically Historical. Please Note: Every book I review has been purchased by me. Bestpresidentialbios.com is a participant in the Amazon Services LLC Associates Program, an affiliate advertising program designed to provide a means for sites to earn advertising fees by advertising and linking to amazon.com.